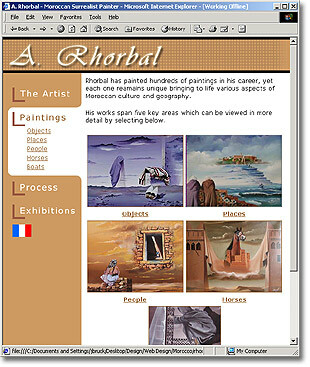 Description: While traveling in Morocco from April to June 2000 I met Abdel Rhorbal. He is a self taught painter known in his country and art community as the "Moroccan Dali". Over several meetings, dinners, and discussions where his hospitality was overwhelming, we put together the plans for a web site that would house his many works. 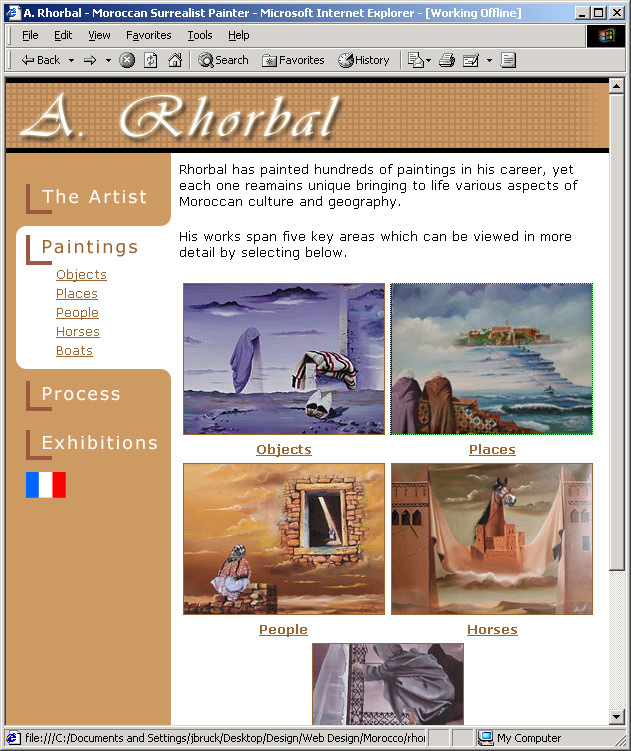 I encourage everyone to explore this site as Rhorbal is a truly a talented artist.